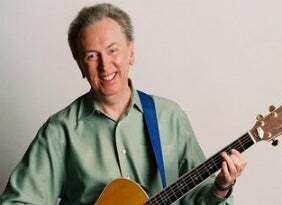 We do not curently have theatre tickets available for Al Stewart - Cadogan Hall. This could be because we have simply sold out or it could be that this show is no longer running. The information on this page remains purely for historical and informational purposes. After touring for the last year in the USA with his band the Empty Pockets, Al has decided to bring this show to the UK shores. He will be playing selections from his deep catalogue along with favorites Year Of The Cat, Time Passages, On the Border, Nostradamus and Roads To Moscow. The Scottish-born singer-songwriter has released nearly 20 introspective and lyrically powerful records featuring brilliant backing musicians (Jimmy Page, Phil Collins, Richard Thompson, Peter White, etc.). His biggest platinum successes, “Year Of The Cat” and “Time Passages”, were released in 1976 & 1978 respectively. He’s had several top 20 singles, including the above-mentioned titles, as well as “On the Border” and “Song On The Radio”. In Al’s own Words: “I'm just a folk singer that is interested in history and wine that got lucky with some hit records! It's as simple as that really. I was always a huge music fan and originally, I had wanted to be Brian Jones and then Bob Dylan, but those two jobs were already taken. And in many ways, I'm still pretty much the same troubadour that I was back in 1965. I still get a kick out of hearing the Zombies, Hendrix or They Might be Giants on the radio." Upon exiting Sloane Square Station, turn immediately right, passing the Royal Court Theatre. (You will see Cadogan Hall’s tower immediately before you). Cross over Cliveden Place and walk up Sedding Street to the Hall.